Welcome Home! 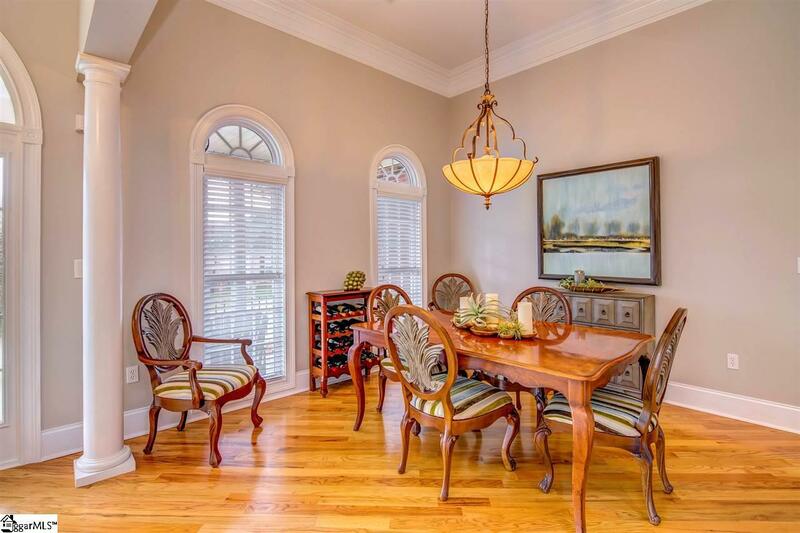 This custom built home has endless features that are sure to meet the highest of expectations. The large, covered front porch with columns and a stained, stamped concrete welcomes you. 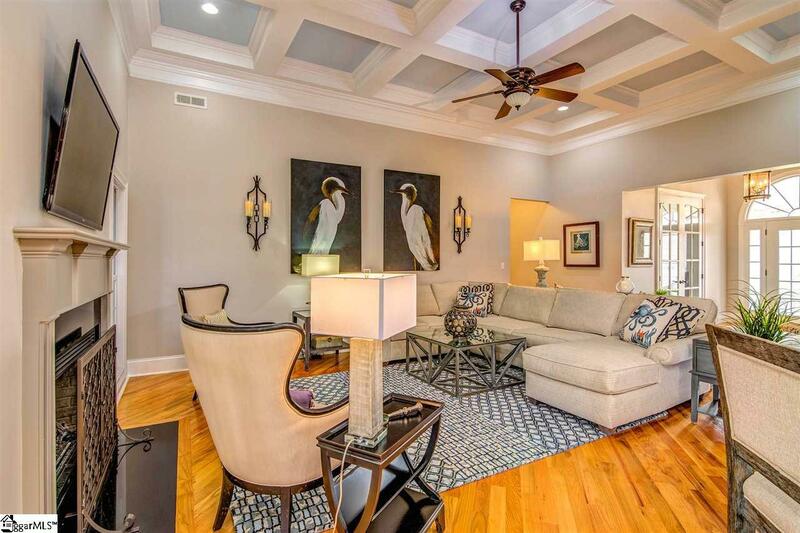 As you walk into this full brick home you will be greeted by 12 ceilings, an open floor plan with beautiful real hardwoods, coffered ceiling and thick crown moldings. The great room with its coffered ceiling and fireplace is open to the kitchen and breakfast room, making it the perfect entertaining space. 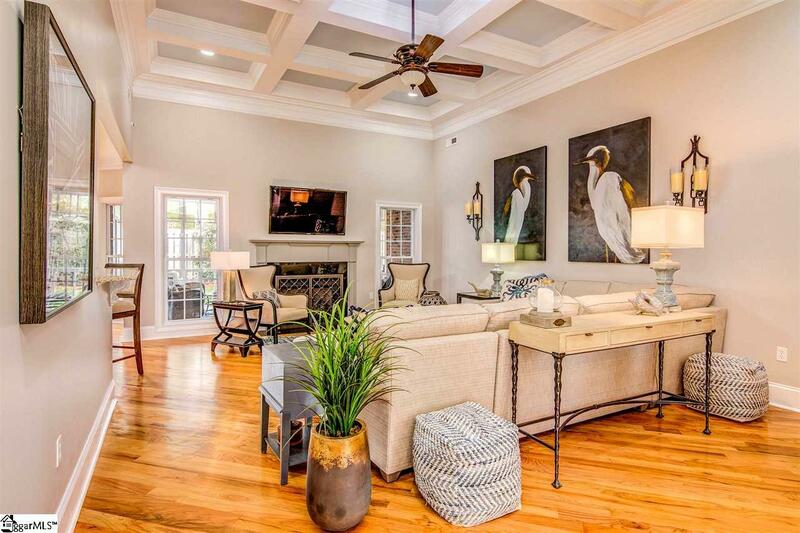 Your master suite on the main level is a retreat with a trey ceiling and corner fireplace! The master bath adds to the retreat with a large, tiled, shower with glass door, a separate jetted tub, double sink vanity with granite countertops and a seated make-up area. The large walk-in closet features abundant shelving, drawers and multiple levels for hanging clothes. The downstairs features two additional bedrooms and a full bath. Additionally, there is an office with french doors can be used for a living room if preferred. Upstairs is a secluded bedroom with full bath and a bonus with easy access to attic storage. Just in time for Spring, enjoy being outside on the welcoming oversized covered front porch, or on the screened back porch that features an outdoor gas fireplace and is large enough for a seating area or dining area. You will find the Waverly Hall neighborhood pool at the entrance of the neighborhood, and a nearby pond. 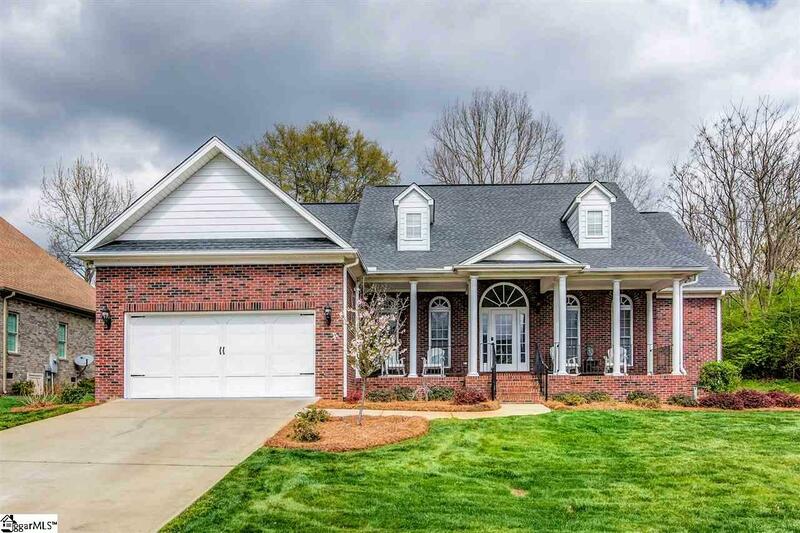 Dont miss this amazing opportunity in Simpsonville! Listing provided courtesy of Emily Rapp of Re/Max Reach.